It's safe to say that Super Mario Odyssey has been a hit so far, both critically and commercially. It's been clocking up impressive sales in all territories, and now Nintendo of America has confirmed a notable landmark for the US market. In its first five days on sale Odyssey sold over 1.1 million units in the US, making it the fastest selling US launch in the Super Mario franchise - its early momentum has beaten New Super Mario Bros. Wii, which is impressive when you think back to how hot that game was. The press release also reiterates that Nintendo is ramping up Switch hardware supplies for the Holiday season, and Reggie Fils-Aime is quoted as saying the following. The public continues to respond positively to Mario’s latest adventure. We’re also seeing sales momentum for Nintendo Switch thanks to an ever-growing catalog of games from large publishers and indie developers. Were you one of the early adopters of Super Mario Odyssey on the Switch? Nice! Completely deserved, in my opinion. I'm still working through it but the game excels in music and gameplay is tight. It's challenging without being that difficult but collecting everything will definitely take some work. Not to mention all the fun tricks you can do in the game that haven't been mentioned yet, like double hat jumping and what not. And the game looks GORGEOUS. Bought this game digitally day 1, almost didn't make it to work since I was up late messing around in it. Always nice to hear more good Switch related news! I got the game on 31 Oct 2017, 1 day after my Birthday on 30 Oct 2017. I bought Super Mario Odyssey for IDR 690,000 or US$ 51.00. And they left the whole month of November open to 3rds and indies! Hope that works out for them for the best!! Nintendo of Europe just tweeted that it is the fastest selling Mario game here too! Sadly, I'm preparing my exams so I don't have a lot of time to play it.. But I can't wait to continue my adventure. @Spoony_Tech I'm pretty thankful for that, haha. There are a ridiculous number of third party and indie titles coming out this month. I don't know what I'd do if there was also another major first party game squeezed in between Mario and Xenoblade. Great news. Such a spectacular game, have caught myself just grinning like a kid many times while playing! Hopefully they can keep this momentum going into 2018 and far beyond with excellent games. My boy's still got it! The game truly deserves it. It is the first Mario game I have completely and utterly enjoyed. Every other one has had some problem which causes me to dislike it. Typically the controls. But the game work so well and is such a masterpiece my feet can't stop tapping to the music. I am having an absolute blast playing it and I dare say it is better than Zelda. And I'm an Zelda fan! I don't know what to make of that spin. Well deserved. I've 100% it already cause I have no life. No shame, I love this game. Well, that’s nice to read! It’s a pity that I had to set it aside. I’m writing a research paper. But soon I’ll get back to it! @Nekoo77 Congrats! Your avatar definitely suits the accomplishment! @Spoony_Tech WEll we got Pokémon on 3DS in Nov. Nothing on Switch other than other games and nindies. In related news, sales of SD cards are on the rise. Literally the first game I've ever pre-ordered, so yes, I contributed to the EU sales rocket. Also of note, I saw my second ever Switch in the wild in the UK yesterday, during my first commute since SMO's release. I'm sure that's not a coincidence. @MagicEmperor Thank you, peach is life! Just wait for Black Friday and Holiday sales... Everyone will be buying a Switch for this game. I've yet to play it but the temptation to do so is absolutely killing me. I'm still back in the UK staying with my parents and have little use of the big TV. I don't want to waste a game as special as this playing only on the handheld nor do I want to play it in bits and bobs . I could use the spare TV but it's not the biggest nor the best quality. I'm not sure how much longer I can resist though. @Nekoo77 Eyes his Wedding Peach amiibo Indeed. @WiltonRoots Further down the list, just after "replace broken break room kettle". Now that I got Troll and I (yes I actually enjoy this game now for some reason after trying so hard in bashing it too), Fire Emblem Warriors, and Super Mario Odyssey accomplished, it's time to look forward to my next Nintendo Switch pick-ups. Doom and Xenoblade Chronicles 2, I'm coming for ya. Fantastic game. It deserves the sales. I’ve been grinning since last Friday. Few things could be more deserving. Kudos. I bought it. I'll play it one day. 567moons in and loving it (also I am starting to feel some difficulty in the platforming specialty to beat the gold koopa racings). For me is easily the game of the year! 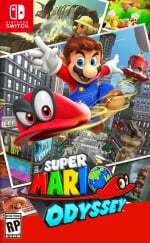 Mario Odyssey sold in 5 days what Mario Galaxy sold in 1 month. Wonder if Mario is having a similar sell through rate of Switches as in Japan. That would mean roughly 300K Switches sold in US for opening weekend of Odyssey and about 500K world wide? It’s just nice to see Nintendo doing well with Switch. Odyssey is really good and deserves the praise. I love the call back to SMB2 with the rockets that take you different areas, it’s a cool touch. Faster than NSMBW, with a much smaller install base? Now I'm impressed. Impressive. It deserves all the praise and success it's getting. This game will be a perennial sales success, as well. Super Mario Galaxy came out on a console with a much larger user base (Wii) and yet Odyssey is selling BETTER on a console that just started out & has a much smaller user base. I got the game Saturday night after thinking it wouldn't get to me until Monday. I got the Cappy coin on Tuesday. I'm not that far in the game but I love what I've played so far. Very impressive sales numbers all around. And I think it will maintain a solid presense on the charts throughout the holiday season. Some complaints I've seen levied against the game is that it is too easy or too short, but it is a solid, quality title and one very much worthy of the sales it is getting imo. 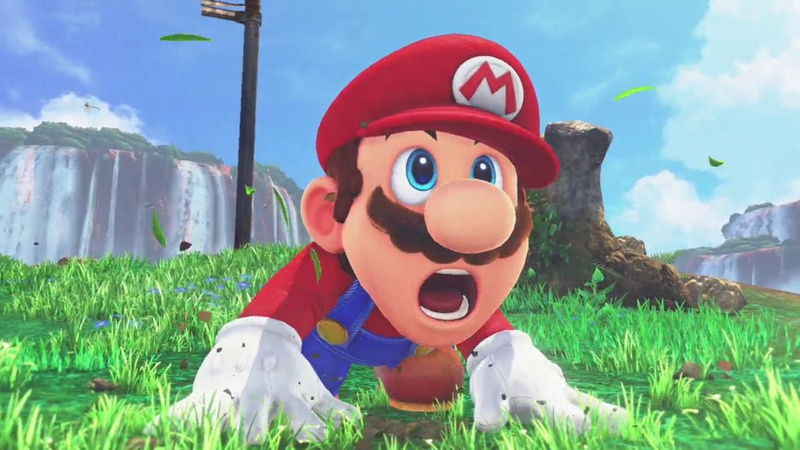 Mario Odyssey sold in 5 days what Mario Galaxy sold in 3 weeks. Launch sales were nearly double that of Mario Galaxy 2 (the previous fastest selling 3D Mario game). Got it day 1. Fantastic game. I am only through the first 5, 6 kingdoms. And you can argue the difficulty could be a tad bit higher. However, I find the exploration to be the highlight of the game. It's like Mario 64 on steroids. the Bowser battle in the clouds before the Lost Kingdom is right up there with some of the series' best. Netflix is heavily funded by Soros. Super Mario odyssey well deserved. The best 3d Mario I played. I love all of my switch games, but I like botw and odyssey the best. Day one adopter here. Happy to see it getting a lot of success. I'm sure people are already loving the game as there's tons of meme-worthy screenshots on Twitter. I'm working through it. And it's fun. And love the 3D to 2D mini game plays. That was impressively cool. @westman98 cool stats man. Thanks. Looks too easy....those moon pieces are placed in the most idiotic IN your face spots that any monkey could grab. This game clearly doesn't require precise pixel perfect platforming like 64 did, plus the world's themselves look absolutely unimaginitive and dull compared to what we usually get in the franchise. I'm not buying the hype. I'm sure it's a good game, but a title low on difficulty, limited in platforming and puts more of an emphasis on sandbox 'collectathon' game play aided by the variety that is Cappy and the slew of enemy abilities you get. The soundtrack has also been pretty forgettable and dissapointing. Pre-ordered from Best Buy, and I've been enjoying it ever since release. Even though I've beaten the game, well at least up into the darker side Moon level. I still have many many moons and tasks to complete in the game. I can see playing this game for months to come. @gortsi True. I know Activision clearly said NO on COD, but it's worth asking a bunch of people I don't know and who won't know on a comment section where it is anyway. Before you ask I did email Activision, and they said "what [expletive]ing part of NO don't you get?" Well deserved. Very very addictive, supremely high quality game. Giving me the same sensations as playing through Mario 64 and Galaxy for the first time. Anyone who didn't do the math that's $60,600,000 take away from the U.S. alone. That's not all profit of course but, still. Holy hell! @WaveBoy You clearly haven't played the whole game. @WaveBoy your concerns are valid, but the "pixel" perfect platforming does come into play later. When you finish the main storyline and start collecting all the moons (especially the added power moons), there are a lot of challenges that require pixel perfect and very time-precise platforming. They just decided, that the main romp should be finishable be everyone and only then you get to the meat of the game. It's the only minus this game really has, but after mario maker, that saw 100% sadistic levels that were made and played by some part of the community, how can you make a mario game without a wide margin for difficulty. You need to create the game that both casual children and masocore adults can get satisfaction out of. @Mikemario Ah yes, thanks...all I had to do was hit the home button on my remote. Cheers. One week later and I can't say enough good things about this game. Great to see it doing this well, and should continue for at least the next month as people do their holiday shopping. @WaveBoy Lol well trust me, a lot of the moons are far from easy to get. There are quite a few brutal ones in the mix, especially post game.